The Red Centre is the colloquial name given to this southern desert region that’s located in Australia’s Northern Territory, an extraordinary landscape with everything from unique rock formations and spectacular gorges to dramatic mountain ranges, desert plains and some of the most sacred Aboriginal sites in the nation, like Kata Tjuta and Uluru. The name Red Centre is incredibly apt, with an endless sea of fiery red in every direction, but that’s not its only notable hue. After a rainstorm, you’ll see vivid greens and yellows, thanks to the desert flora, while the brilliant blue skies above make for a striking contrast – at sunset and sunrise with pink or purple splashed across the horizon, the landscape is especially jaw-dropping. This region has become increasingly popular with visitors, not only because of the scenery, but because of the Aboriginal people and their culture. Nearly a third of the population in the Northern Territory is indigenous to Australia and after years of battling for land rights, they hold the title to about 50 percent of the land in the Northern Territory, including Uluru-Kata Tjuta National Park, which is the Anangu’s sacred ancestral home. 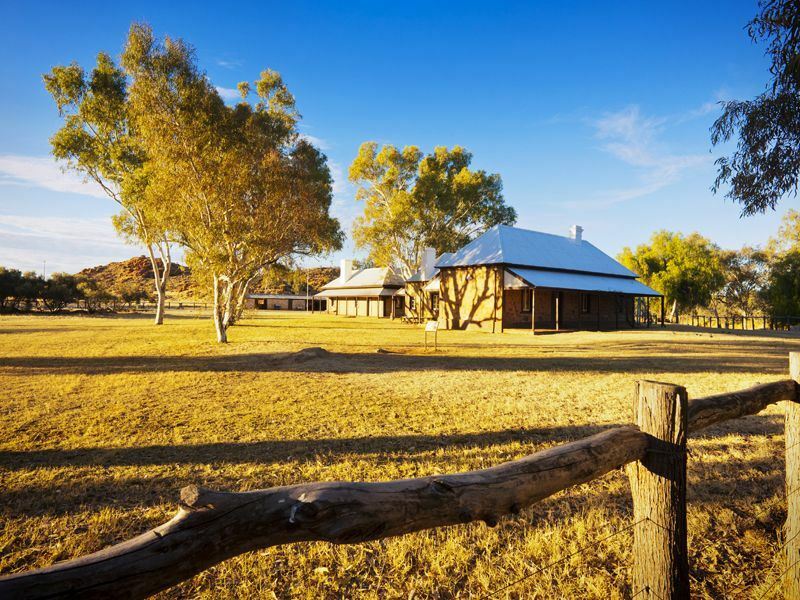 If you’d like to explore this remote and fascinating Outback region, these destinations should all be on your must-visit list. Located some 900 miles from the nearest major city, Alice Springs is one of the most famous towns in the Outback, renowned for its endless desert landscapes and cavernous gorges. It not only makes a great base for enjoying a wide range of outdoor adventures, but as the region’s most cosmopolitan town, you can explore an outstanding collection of Aboriginal art at the Araluen Arts Centre, purchase handmade souvenirs at one of many Aboriginal art galleries and delve into the town’s rich past by visiting the historic Telegraph Station. Important traces of its pioneering past have been preserved, much of it attached to the 1872 Overland Telegraph Line. Today, the restored telegraph station is a historic reserve, built next to the water hole where Alice Springs was founded. If wildlife watching is what you had in mind, head to Alice Springs Desert Park, the best wildlife park in the Outback. It’s home to kangaroos who might just try to untie your shoelaces if you stand in one place for too long, and all types of birds as well as free bird demonstrations, with birds of prey that come swooping down out of the sky. You can cuddle up to an orphaned joey at the Kangaroo Sanctuary just outside of town, and perhaps even meet Kangaroo Dundee AKA Chris Barnes, famous for his top-rated BBC series, ‘Kangaroo Dundee.’ For reptile lovers, the Alice Springs Reptile Centre provides the chance to marvel at some of Australia’s reptiles, including a saltwater crocodile, lizards, snakes and thorny devils. Just west of Alice Springs are the magnificent West MacDonnell Ranges that boast an impressive landscape of rugged peaks, rocky gorges and gaps, some with ancient rock art. The “Big Macs” as they’re often referred to, are home to West MacDonnell National Park, which is crossed by the famous Larapinta Trail, one of the country’s premier bushwalking treks. This area can be explored on foot by hiking portions or all of the trail, or by road via a scenic drive on Red Centre Way, covered in our next section. Where to stay? 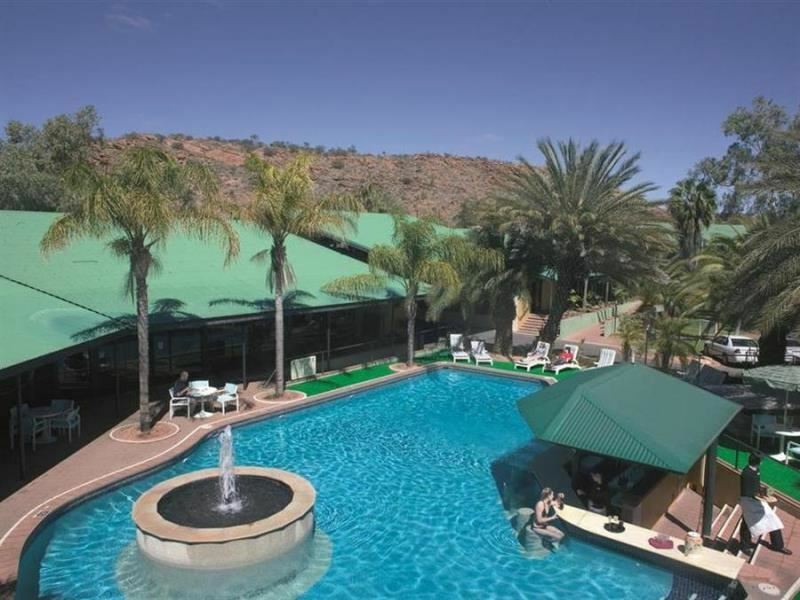 The Mercure Alice Springs Resort overlooks Todd River, making an ideal base for exploring both the town of Alice Springs, with the town centre just steps away, as well as the surrounding Outback. The best place to start your adventures in this park that lies deep in the heart of Red Rock Country that’s considered sacred by the Anangu people is to visit the Cultural Centre where you can pick up a visitor guide, meet some of the local artists in the two art centres, see Anangu art, listen to Anangu stories and discover the peoples’ connection to their country. 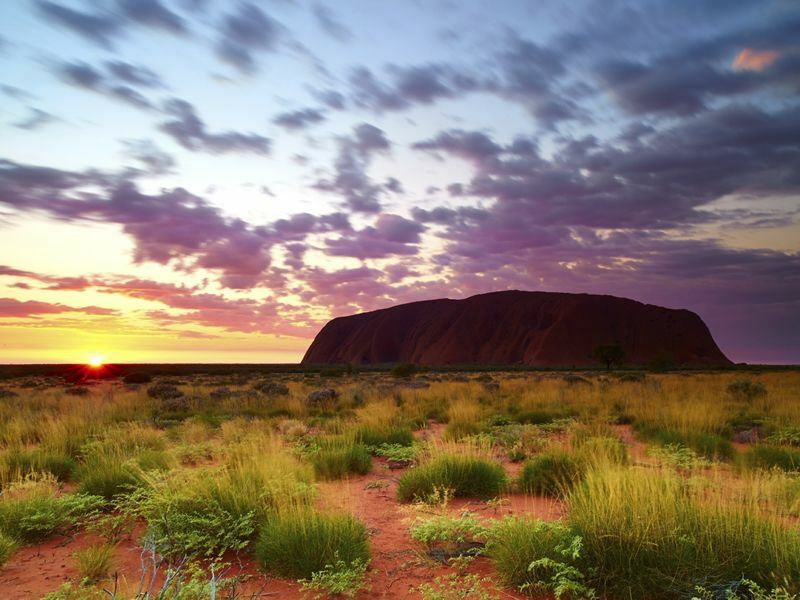 The park is best known as the home of Uluru Rock, also known as Ayers Rock, one of Australia’s most photographed wonders. The striking red monolith looms over the landscape as the centrepiece of the park and bears multiple inscriptions made by ancestral indigenous peoples. Witnessing its changing colours at sunset is one of the must-experiences in the Australian Outback, but you can also walk around the base with an Aboriginal guide, see it from the back of a camel or take a helicopter flight for a bird’s-eye view. The nearly 40 rounded dome-shaped rocks known as Kata Tjuta are just a little over 30 miles from Uluru, and are just as impressive. View them by heading out on one of the many bushwalking trails. Where to stay? Longitude 131 is a luxury resort within the direct line of sight to Uluru, providing an unforgettable place to stay among this spiritual land that’s been prized since ancient times by the Aborigines. During the day you’ll be able to go out into this awe-inspiring terrain with a personal guide and then return to enjoy a refreshing dip in the swimming pool that offers an oasis in the sand dunes, as well as dine on lavish three-course meals paired with fine Australian wine under the brilliant star-filled night’s sky. 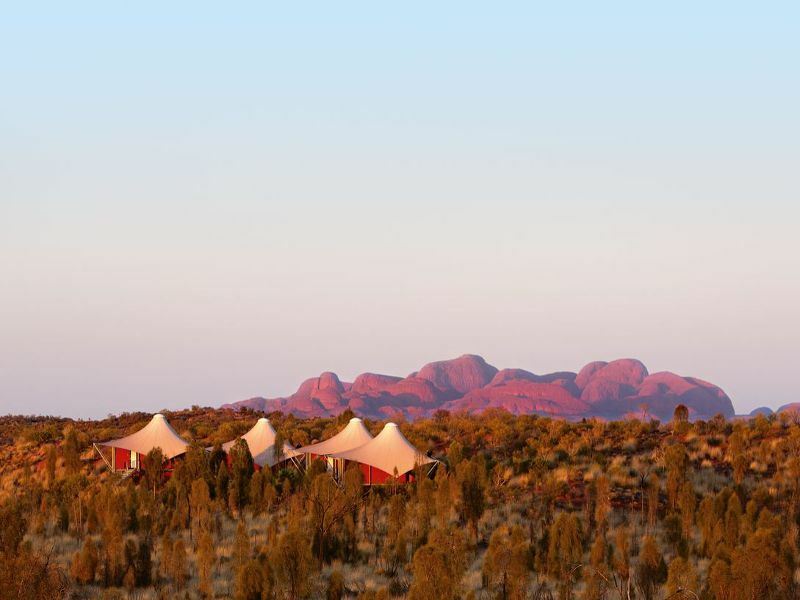 Sails in the Desert is also an outstanding option, ideally located for exploring both Uluru and the Kata Tjuta, while offering luxury accommodations and indulgent spa treatments. 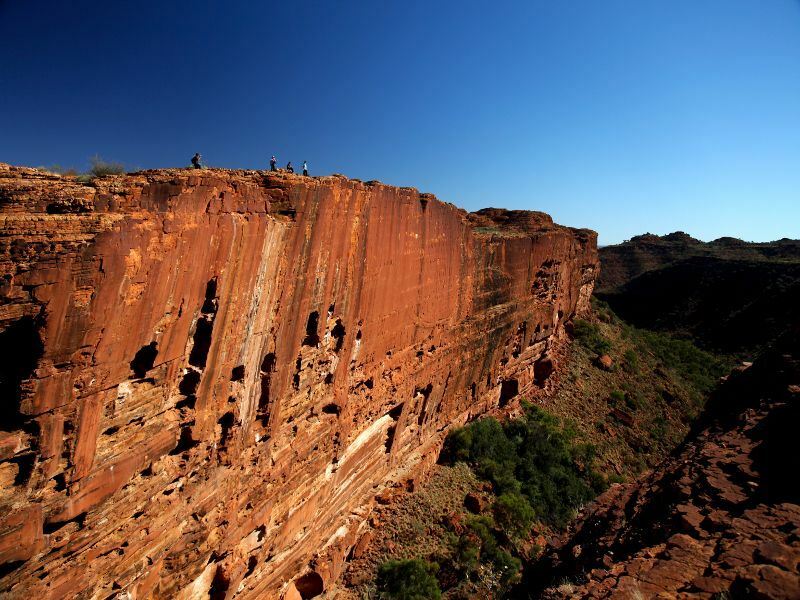 Kings Canyon rises nearly 900 feet above sea level in the heart of the Red Centre. Some 440 million years in the making, it was forged through layers of hard shale and sandstone, producing towering domes and plateaus which plunge down to an oasis with native flora and fauna and natural rock pools. One of the best ways to experience it is by making the trek to the rim. Here you’ll discover endless views across the gorges and rocky bluffs of Watarrka National Park. 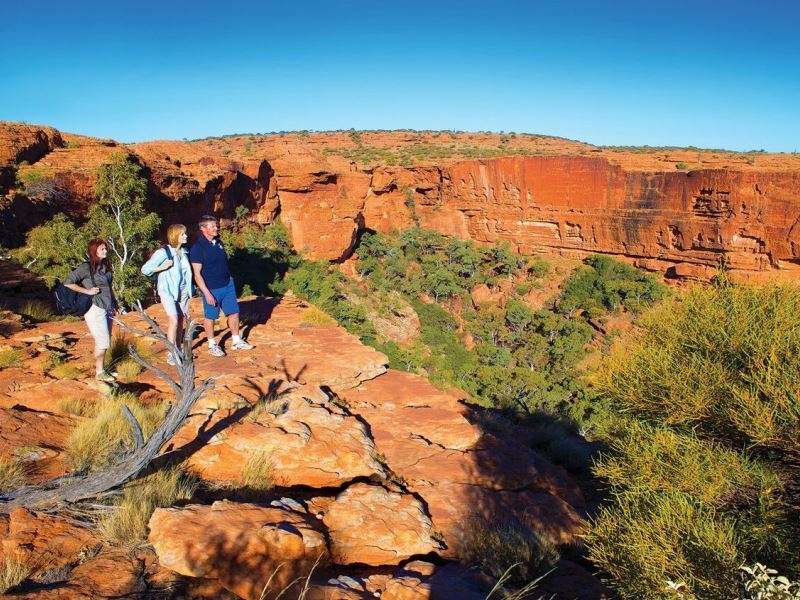 You may want to opt for the guided Kings Canyon Rim Walk, a 3.7-mile trek led by an Aboriginal elder, who’ll regale you with interesting information about the area as well as the reasons it’s so important to its traditional owners. Where to stay? Kings Canyon Resort not only offers guided tours, but a convenient place to base yourself for exploring the canyon. You’ll have your pick of everything from budget to luxury lodging, with everything from standard and spa hotel rooms to camp and caravan sites. 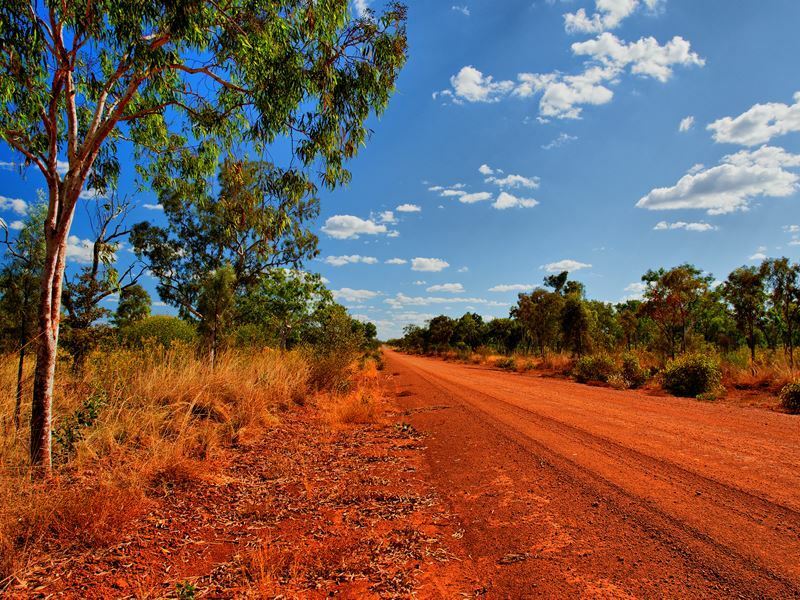 Formerly known as the Mereenie Loop as a portion of the route travels through the Mereenie Valley, Red Centre Way is a scenic drive that offers a grand tour of the top sights in the Red Centre. 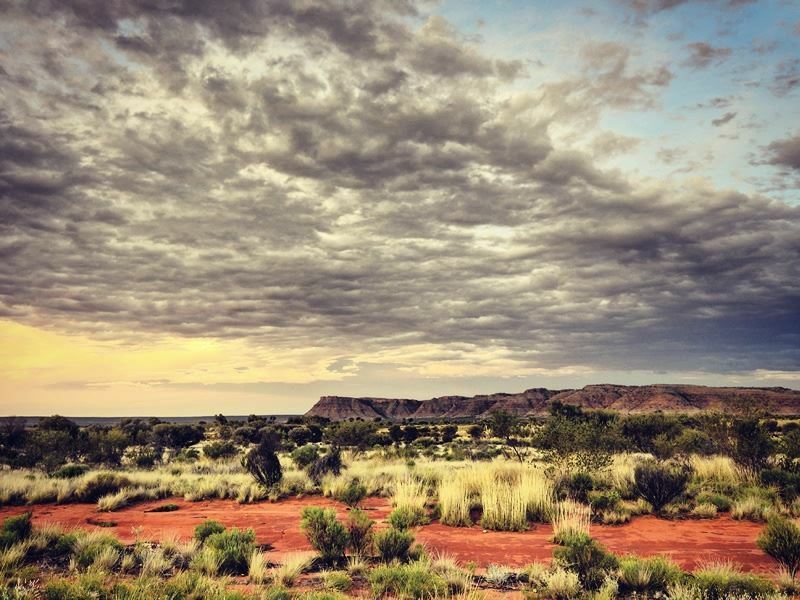 It includes iconic spots mentioned here, like Uluru, Kata Tjuta, Alice Springs, Kings Canyon and the Big Macs, while passing through the diverse landscape central Australia is known for, including sand dunes, mountains, waterholes and gorges. Wildlife is abundant too, with the area home to everything from kangaroos and dingoes to wild camels, brumbies (wild horses) and donkeys. This is your chance to get away from the crowds, other than right at Uluru Rock. Five to seven days is generally the time you’ll need to really enjoy the 713-mile journey, driving slow to take in the views. While four-wheel drive is often recommended, most times it won’t be needed. Of course, you can also just do portions of the route, though you’ll have to do some backtracking. You’ll want to take plenty of breaks along the way to capture photos and stretch your legs along the way, and there are many great walks for doing just that. Simpsons Gap is just a 20-minute drive from Alice Springs, and here you can take the easy wheelchair accessible walk to see the Gap and perhaps even some of the black footed rock wallabies that tend to hang out on the rocky slopes. 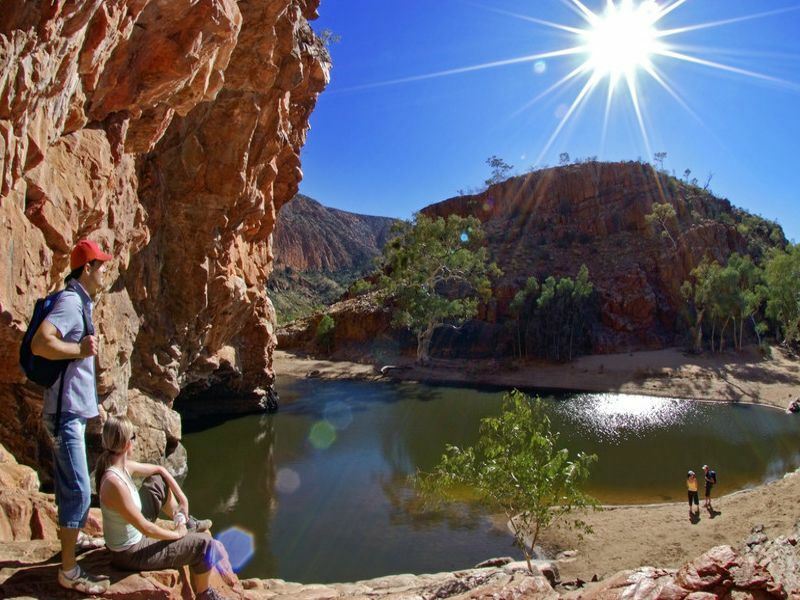 At Standley Chasm, bordered by West MacDonnell National Park, you’ll find a short but incredibly rewarding trek that will take you into the impressive sight which cuts through tough quartzite, forming a stunning natural chasm. 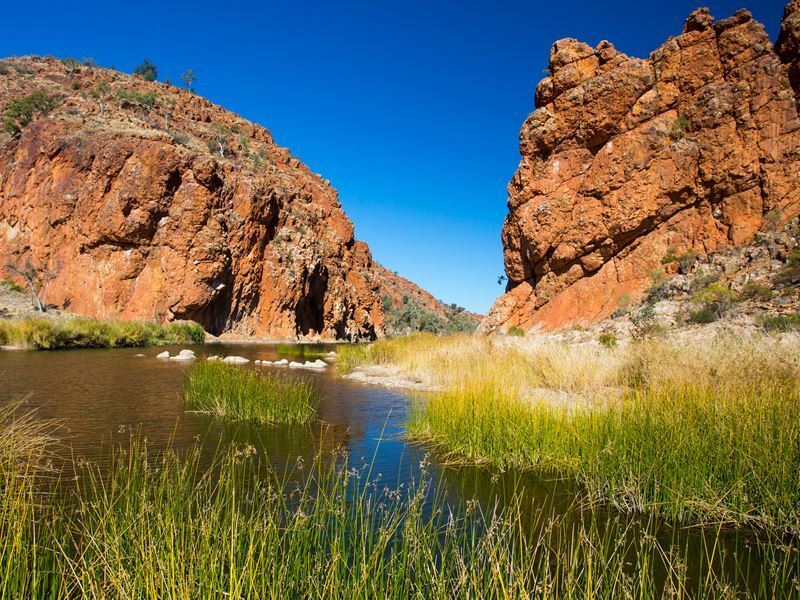 Ormiston Gorge is the most photographed gorge in Australia’s Outback – it’s easy to get to and you’ll find many fabulous short walks. As mentioned, at Kings Canyon, the Rim Walk is truly a must-experience for out-of-this-world views. 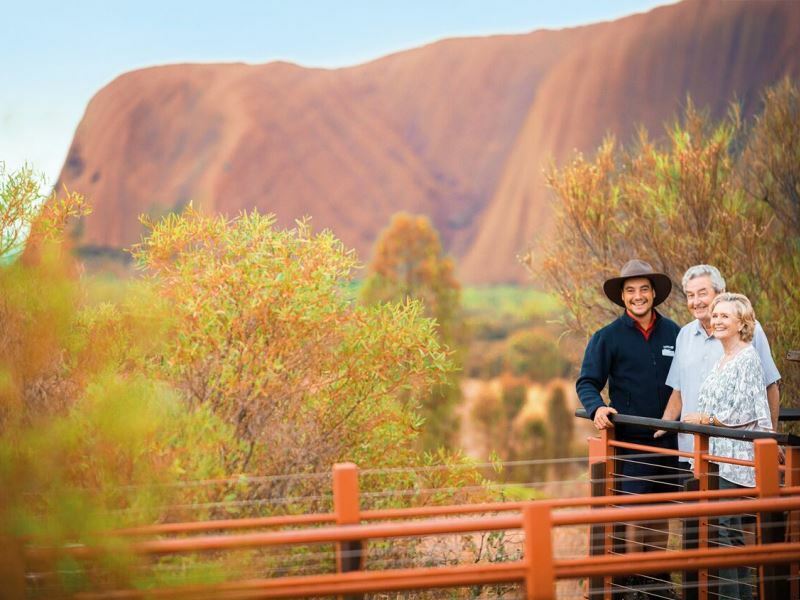 For a practically stress-free adventure, and to make organising much easier, a number of guided tours of the Red Centre are available as well, like the four-day, three-night mini-tour of Kata Tjuta, Uluru and Kings Canyon. 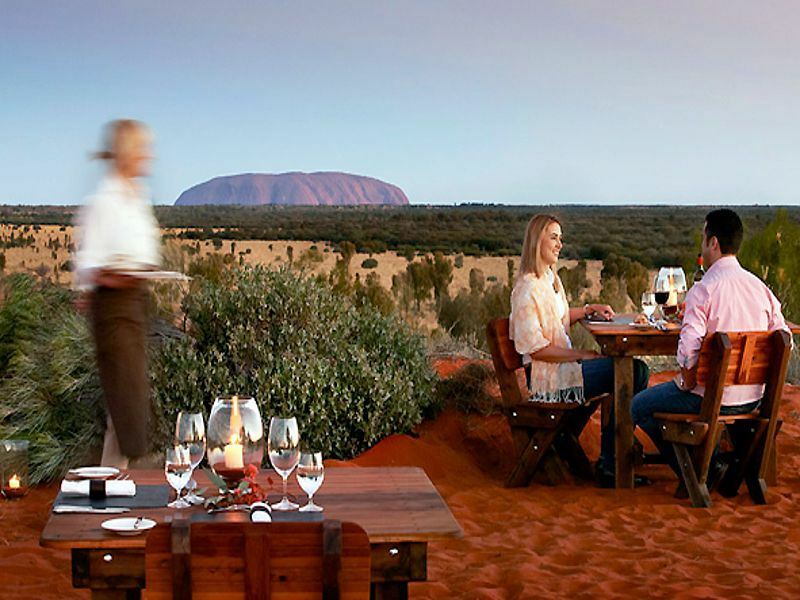 It includes a knowledgeable tour guide throughout, as well as accommodation, dinner under the stars at Ayers Rock Resort, watching sunsets over various stunning landscapes, the climb to Kings Canyon, and visits to both Uluru and Kata Tjuta, among a number of other unforgettable activities. Accommodation includes the chance to spend a couple of nights at the renowned Ayers Rock Resort, an eco-friendly architectural achievement with its massive sails that provide shade, solar panels generating power and lots of native trees throughout. The four-day, three-night Alice Springs & Rock Escape Tour also includes an expert tour guide throughout your journey, with visits to many of the popular Alice Springs sights like the Reptile Park for getting up close to the country’s famous reptiles, a visit to a camel farm with an optional camel ride, lots of panoramic views (Alice Springs, Uluru, Red Centre and Atilla), as well as the chance to explore the base of Uluru Rock, Walpa Gorge and Mutitjulu Waterhole. You’ll have your choice of multiple accommodations too, including a number of luxury resorts and upscale hotels.